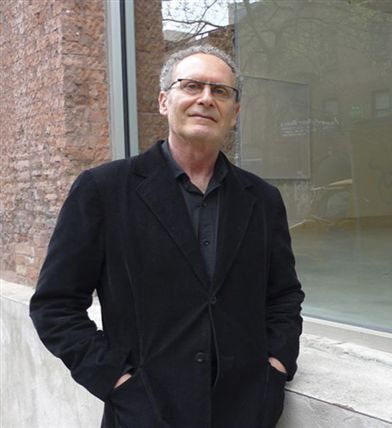 Max Protetch is a dealer of contemporary art and architecture and founder of Max Protetch Gallery, NY. In 1969, at the age of 23, Max Protetch opened his first gallery in Washington, D.C., while a graduate student in political science at Georgetown University. Over the course of 40-plus years, Protetch has continued to broaden and deepen the horizon of what is new and relevant, including Minimal, Conceptual, and Pop art in the 1970s; architecture in the late 70s and 1980s; and, since the 1990s, a continuing engagement with a broad swathe of contemporary art, including doing the first exhibitions of contemporary art from China. A constant has been an emphasis on the question of what is appropriate to be seen in a gallery. During the Washington years, 1969 to 1978, Max Protetch showed work by Andy Warhol and other Pop artists; gave Vito Acconci his first one-person show; and continued showing Conceptual and Minimal artists such as Carl Andre, Jo Baer, Robert Berry, Donald Judd, Dan Flavin, Doug Hubler, On Kawara, Joseph Kosuth, Sol LeWitt, and Lawrence Weiner as early as 1970. Kosuth and Art Language Press Group also had one-person shows during those years. Max Protetch presented early performance art by Vito Acconci, Dan Graham and Dennis Oppenheim. The Gallery mounted several political shows, including the group show ‘Political Art’ which featured Dorothea Rockburne, Daniel Buren, Sol LeWitt, Carl Andre, and Robert Morris. This show was unique in dealing with the Marxist and political/economic involvements of Minimal and Conceptual art. In 1978, Max Protetch moved his gallery to New York and began showing architectural drawings. Since that time, Protetch has shown many of architecture’s contemporary masters, including Tadao Ando, Erik Gunnar Asplund, Peter Eisenmann, Frank Gehry, Michael Graves, Zaha Hadid, John Hejduk, Rem Koolhaas, Daniel Libeskind, Samuel Mockbee, Aldo Rossi, and Robert Venturi. Protetch represented the estates of Frank Lloyd Wright and; has holdings of Louis Kahn, Buckminster Fuller, and Ludwig Mies van der Rohe; and has sold the entire estates of Luis Barragan and Aldo Rossi. Protetch also has shown and represented artists who are uniquely engaged with public sculpture, including Siah Armajani the late Scott Burton, who has been the most important artist-proponent of functional sculpture. In the aftermath of September 11th, Max Protetch organized the landmark exhibition “New World Trade Center: Design Proposals.” The show featured proposals for Lower Manhattan from an international group of 60 invited architects, including some of the most influential minds in contemporary architecture. Widely regarded as the most highly attended private gallery exhibition in New York’s history, the show was published as a book (HarperCollins, 2002) and was chosen by the U.S. State Department to represent the United States at the 8th International Biennale of Architecture in Venice. The Library of Congress purchased “New World Trade Center: Design Proposals” in its entirety. In 2003, Max Protetch expanded to the rapidly growing arts community of Beacon, N.Y., with Max Protetch: Sculpture Beacon, a five-acre site for the exhibition of new and existing works of outdoor sculpture. The grounds have featured works by Sol LeWitt, Buckminster Fuller, Scott Burton, Marcel Breuer, Mel Chin, Tobias Putrih, and Zaha Hadid. Protetch later took advantage of his history of working with the major architects of his time and developed a 16 unit building on the corner of Baxter and Hester streets in Lower Manhattan. Protetch commissioned architect Mark DuBois. The building was reviewed favorably by Fred Bernstein in an article “A Gallerist Turned Developer” in The New York Times. Max Protetch played a pioneering role in introducing Chinese contemporary art to Western audiences beginning in the mid-90s and including a previous partnership with Beijing Commune. The artists include Fang Lijun, Zhang Xiaogang, Yue Minjun, Zhang Huan, and Hai Bo among others. Many of these artists had their first U.S. gallery exhibitions with Max Protetch. Max Protetch has represented established and emerging artists, including Siah Armajani, Hai Bo, Saul Chernick, Mike Cloud, Zach Harris, Oliver Herring, Tim Hyde, Ren Jian, Byron Kim, Glenn Ligon, Tom Nozkowski, Iñigo Manglano-Ovalle, Ann Pibal, Marjetica Potrc, Tobias Putrih, Chen Qiulin, David Reed, Gao Shiqiang, Keita Sugiura, Siebren Versteeg, Betty Woodman, Sun Xun, the Estate of Richard DeVore, and the Estate of Scott Burton. In 2009, the gallery was sold to new owners, who subsequently closed the gallery. In 2012 Protetch began deaccessioning his holdings, and consulting and selling art and architecture.